Scientists have teleported quantum information between two bits of diamond located 10 feet apart. Scientists have teleported quantum information between two bits of diamond located 10 feet apart. It's a prime example of "spooky action at a distance" — and an achievement that could lead to quantum networks exponentially more powerful and secure than today's supercomputers. 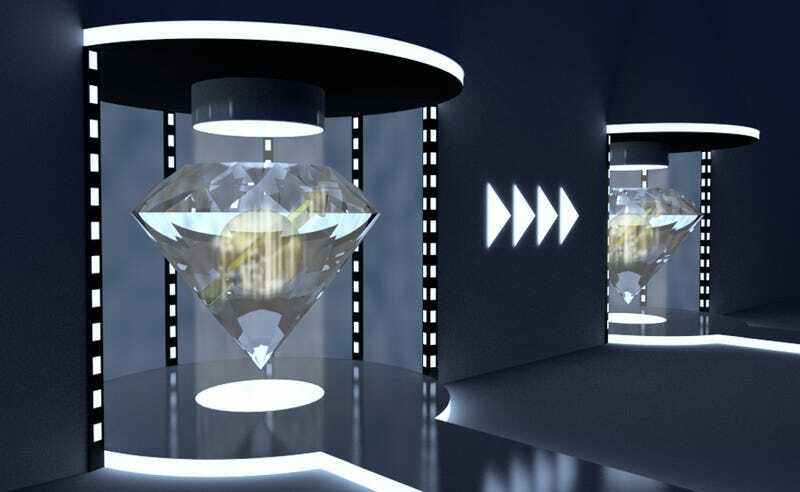 Image: Artistic impression of quantum teleportation of a spin state between two distant diamonds via TUDelft.